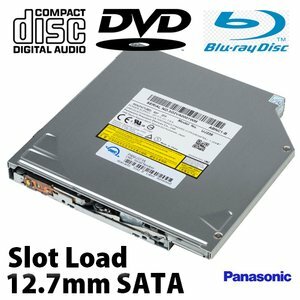 Burn up to 6X Blu-ray, DVD 8X, DVD-DL 6X, CDRW 24X R/W Speed. Slot Loading drive. 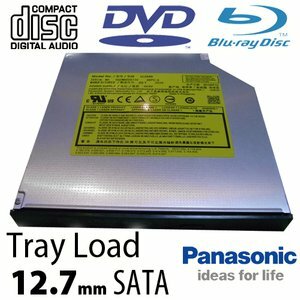 Panasonic 1 Year Limited Warranty. Burn up to 4X Blu-ray, DVD 8X, DVD-DL 4X, CDRW 24X R/W Speed. For MacBook (Early 2009), MacBook (Mid 2009), and PC Laptops. 1 Year Warranty. 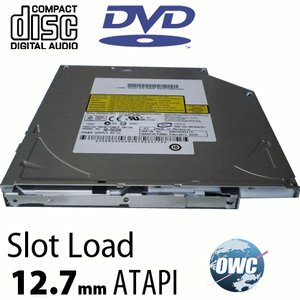 OWC Mercury Optical Mac mini internal Super-Multidrive Upgrade for 2006-2007 G4 & Intel Mac minis. 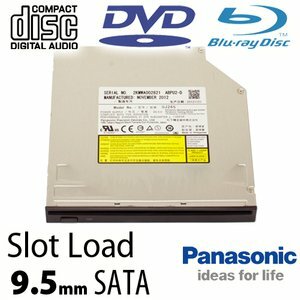 Up to 8X DVD, 6X DVD-DL, 24X CDRW Read/Write Speeds! New, 1 Year OWC Limited Warranty. Burns DVDs at up to 8X, Dual Layer DVD up to 6X, & up to 24X CD Burn. 1 Year OWC Limited Warranty. OWC Mercury Optical Mac mini internal Super-Multidrive Upgrade for 2006-2007 Mac minis. Burn up to DVD 8X, DVD-DL 4X, CDRW 24X R/W Speed. 1 Year OWC Limited Warranty. 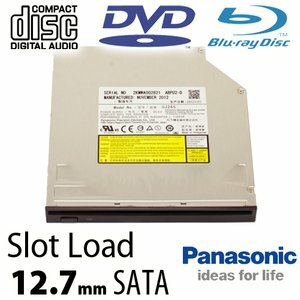 Panasonic 4X 12.7mm Serial ATA (SATA) Internal BD/BD Dual-Layer/DVD/DVD Dual-Layer/CD Reader & Writer. Burn up to 4X Blu-ray, 8X DVD, 4X DVD-DL, 24X CDRW & R/W Speed. 1 Year OWC Fulfilled Limited Warranty.